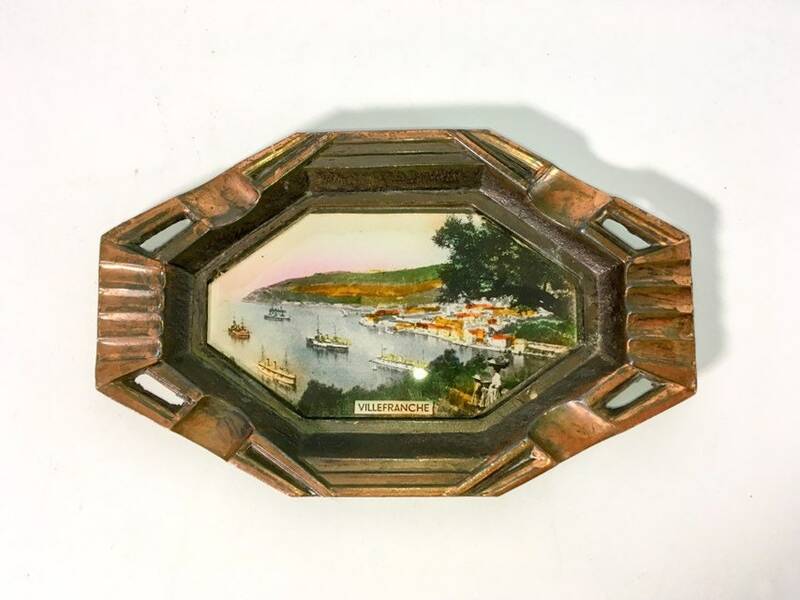 A sweet souvenir ashtray from yesteryear of someone's trip to the area around Monaco on the French Riviera that is called Villefranche - see NOTE below. 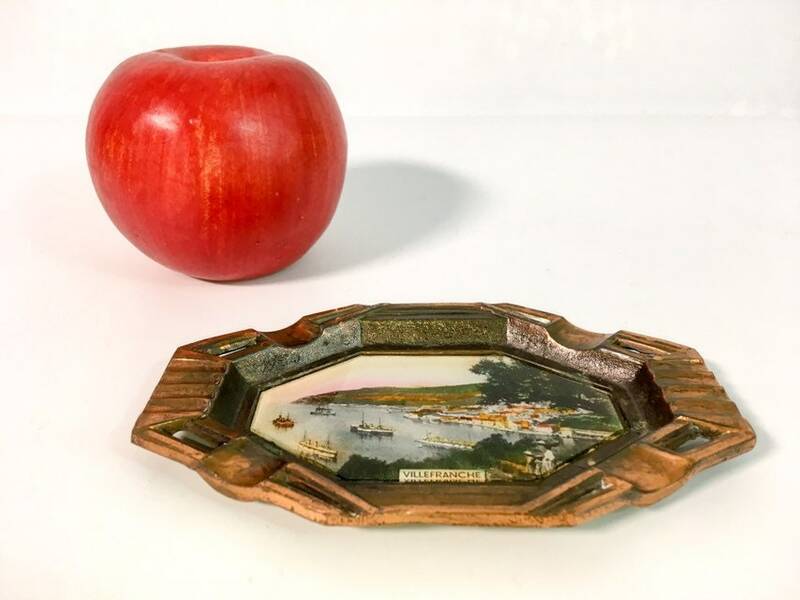 This copper ash tray or trinket dish has a unique design, a colorized photograph of the Riviera that is under glass and 4 spots for a cigarette to rest. 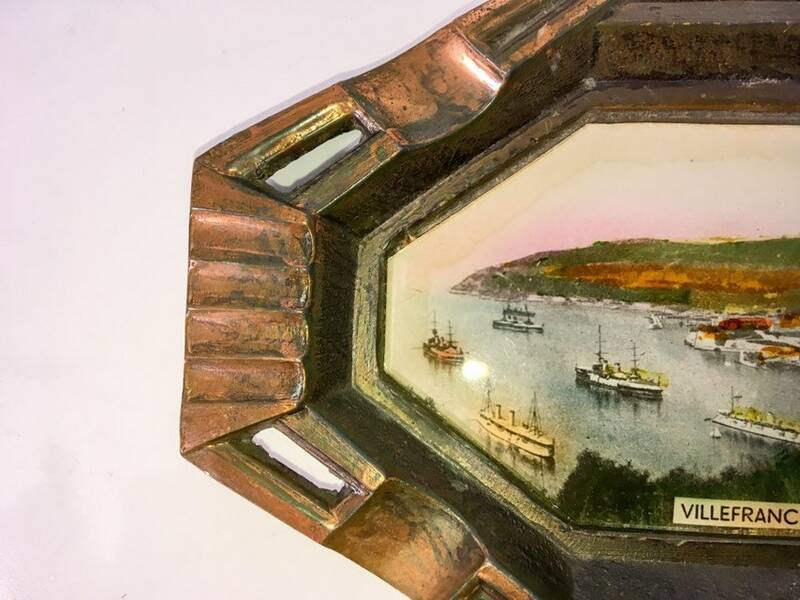 NOTE: Villefranche is in the Alpes-Maritimes on the French Riviera. It is located near the French~Italian border next to the Principality of Monaco. 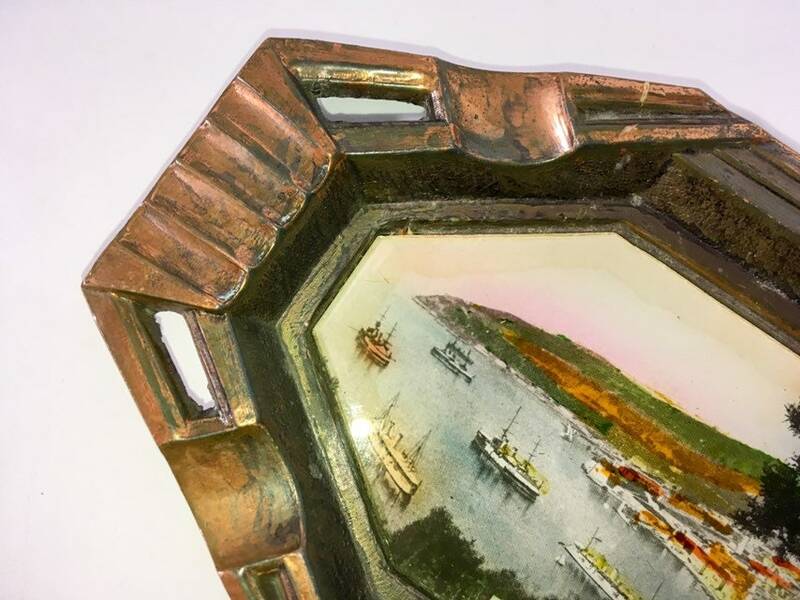 This vintage ash tray or trinket dish or tray is copper and has a photo scene of waterfront on the top side. This scene of the waterfront with boats in the shoreline and a Victorian woman with two children in the bottom right looking out on the harbor. There are buildings on the shoreline and a rise of hills behind the whole scene. 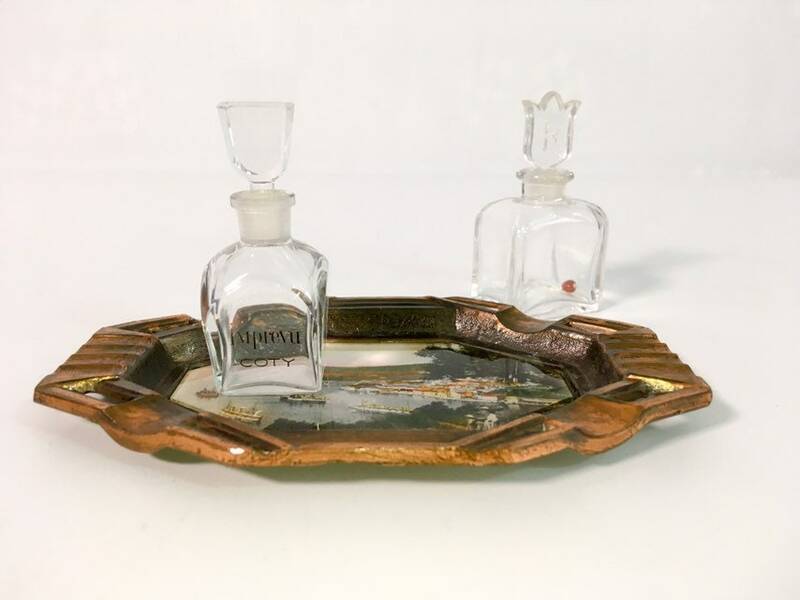 The ash tray has eight sides and a slightly oval shape with cut corners. There are 4 spots to hold a cigarette on the short ends of the ashtray. 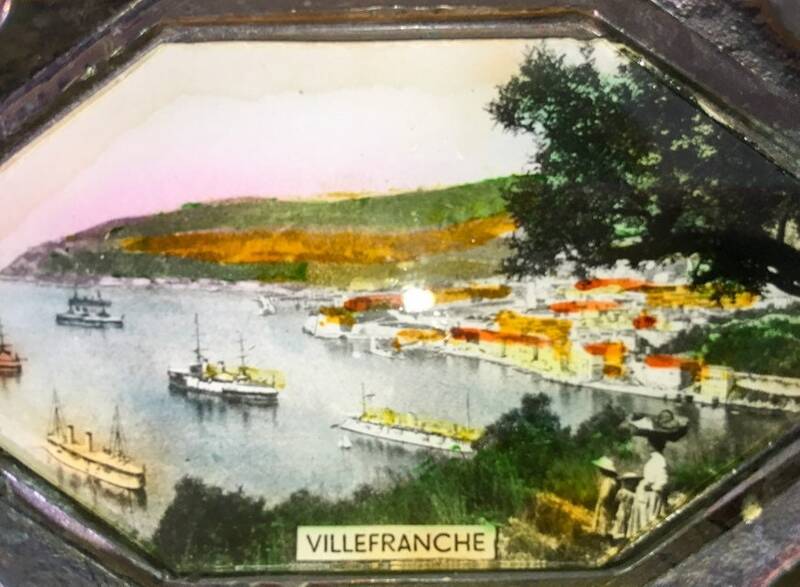 The name of the area - Villefranche - is in a white rectangular box in the center bottom of this scene. 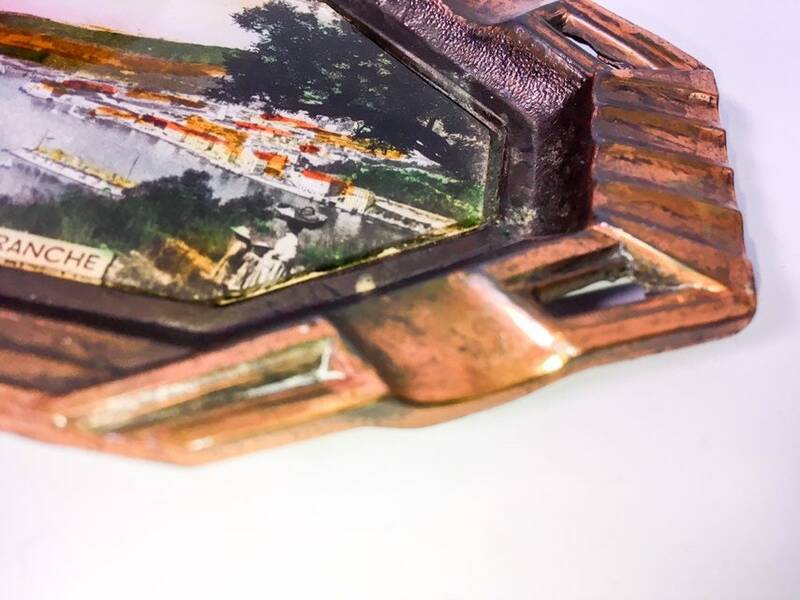 The two end edges have a cut out area and some decorative ridges giving it a nice look. 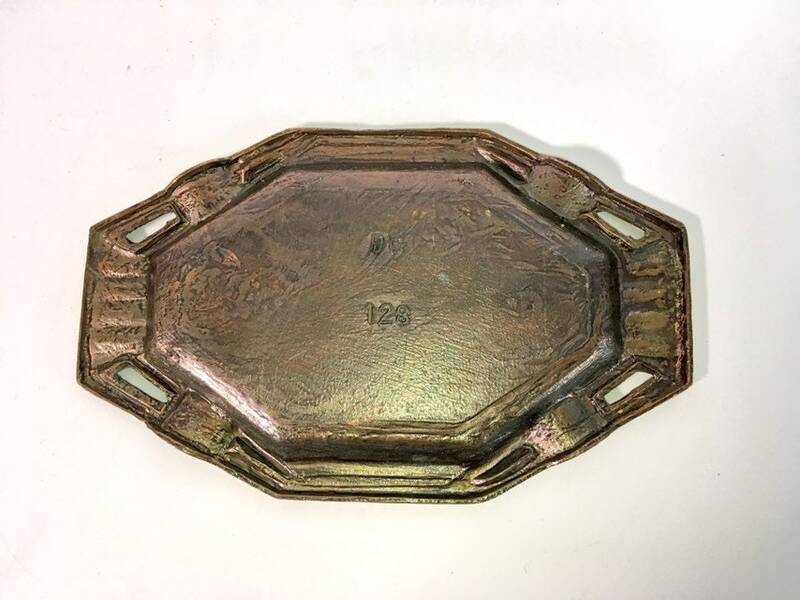 The back is marked with the letters PC and has the number 128 embossed in the center. Measures 5 1/4" long by 3 1/4" wide. In nice vintage condition with no problems. 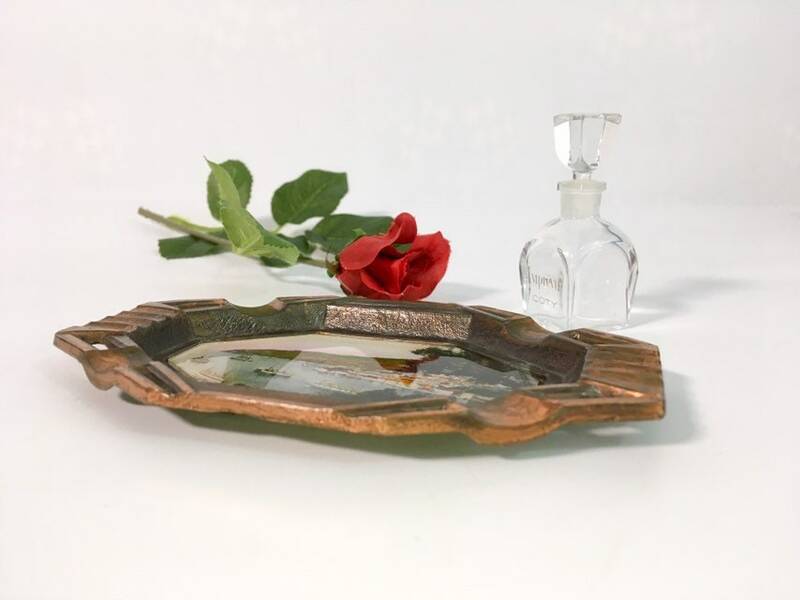 Pretty hefty for a small trinket dish as it is made of copper.